Nanette van Rooyen was born on 3 November 1962, at Sutherland, Great Karoo. She matriculated in Vredenburg, West coast and studied Languages at Stellenbosch University (BA and Higher Teachers Diploma, 1984) and Creative writing at the University of Cape Town (MA 2003). After a year teaching in Umtata, Transkei, in 1985, she worked as a book editor for different publishers. Nanette has founded ARISE, a group to help women. Since 1995 she is a freelance writer and works half time for publishers. 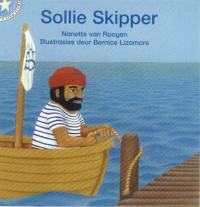 Nanette wrote a children's story, Die Komperprinses, which appeared in instalments in Die Klein - Burger. She regularly reads at the Klein - Burger's Reading Mondays at schools. Nanette van Rooyen lives with her husband, Rudi, and daughters, Sabina and Leah, in Greenpoint, Cape Town. She focuses on short stories and a novel. Many of her books were translated into English and the first four also into Zulu, Xhosa, Suid-Sotho and Tswana.